Bricks, brews, and buddies...oh my! Downtown St. Petersburg is like a creative cookie jar to shoot in...there are these fantastic graphic gems everywhere you look! Speaking of gems, check out Kelli's! It is beyond perfect for her sunny personality! 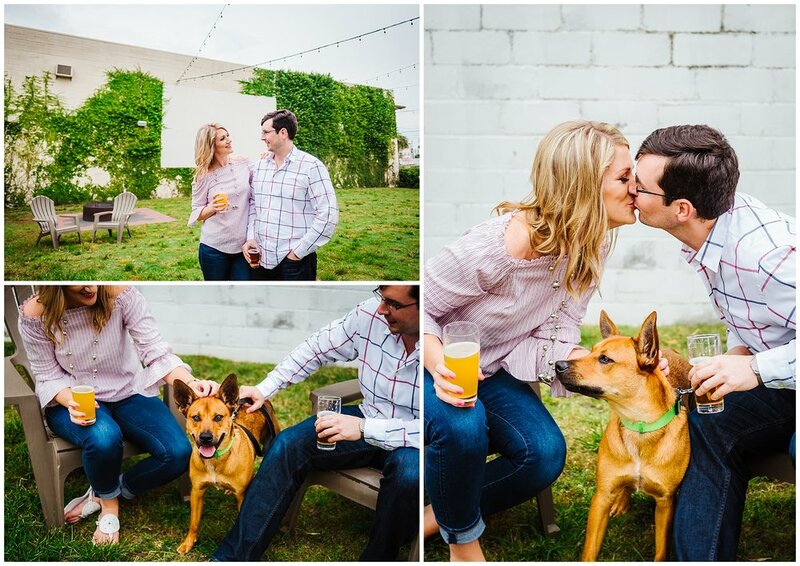 We started our adventure at Green Bench Brewing Co., a perfect local brewery to wet your whistle and an ideal backdrop to start an engagement photo shoot. As a bonus, Green Bench is dog friendly, so we were joined by the third member of Kelli and Bobby's family! 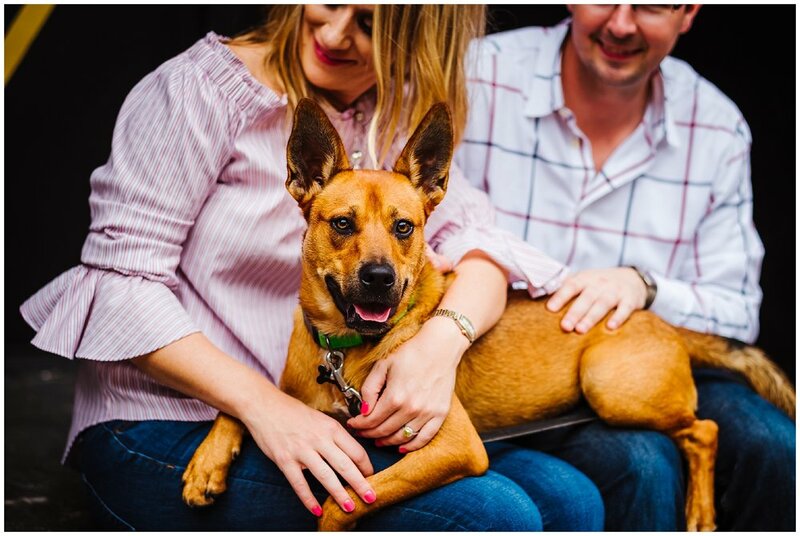 That is one lucky pup to be in a family so full of love and laughter. No wonder she looks happy all the time- and yes, I totally believe dogs can smile! The building-size art as you stroll through downtown is endless. I just loved the "You Are My Sunshine" wall! It was perfect for a future Mr. & Mrs. in the Sunshine State. 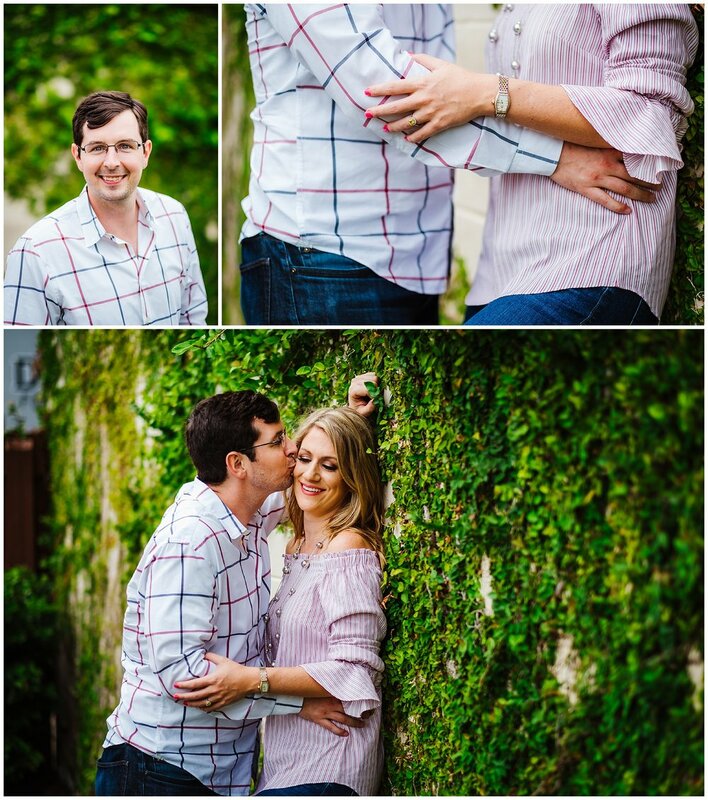 Some couples really make loving each other look easy, and these two are no exception. I cannot wait to see photos from their wedding in Hawaii next September!